It’s still all about comfort food here in the North! Dreams of warmer days to come are realized with a bit of south of the border are in this warming chili recipe, spiked with Mexican chili peppers! 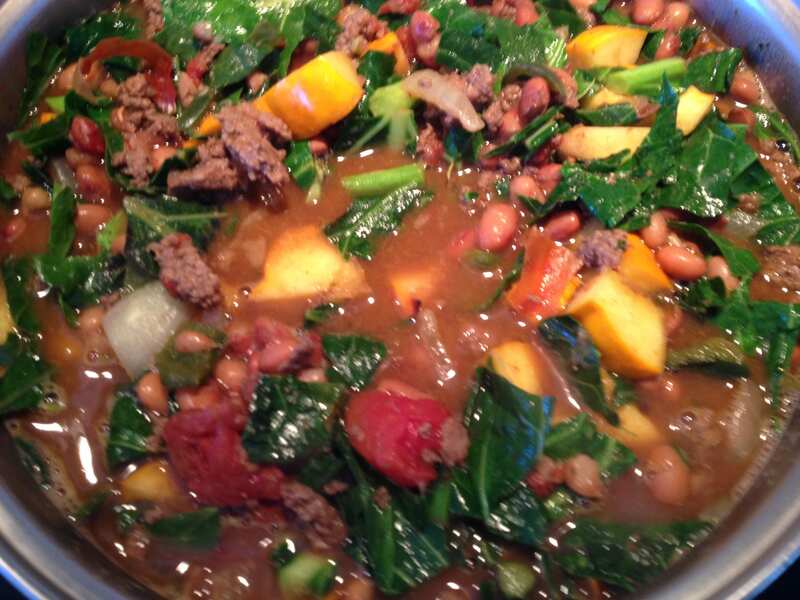 Heirloom beans, heritage beef and the addition of winter squash and greens make my chili super nutritious! Rose or white wine is perfect!